is named for its prominent dust lane, a remnant of a collision with another galaxy. This feature also gave rise to an alternate name- the Sleeping Beauty Galaxy. While the central portion rotates clockwise, the outer band moves in the reverse direction. This is most likely a vestige of the now absorbed second galaxy. 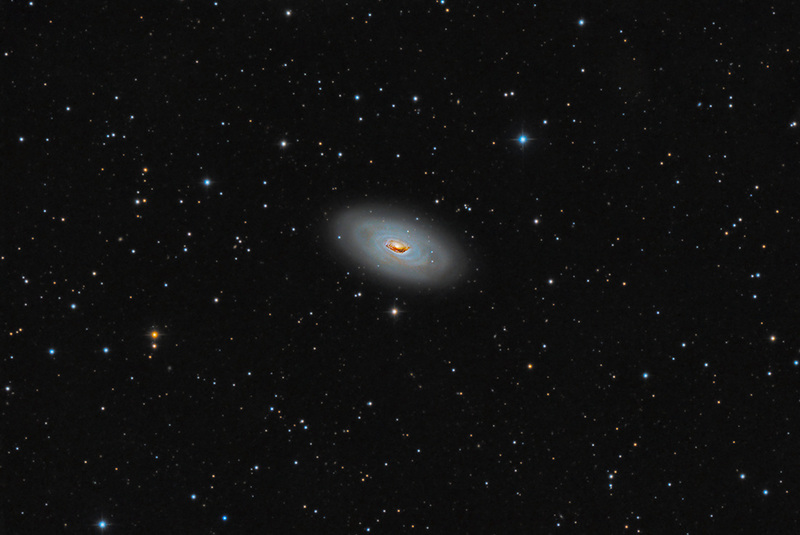 M64 was discovered by Edward Pigott in 1779 and is estimated at 2,000,000 light-years distance. I was very pleased at the amount of color and detail captured here.